Click here to be sent to the IRS website. Have your S.S #, filing status, and refund amount ready. 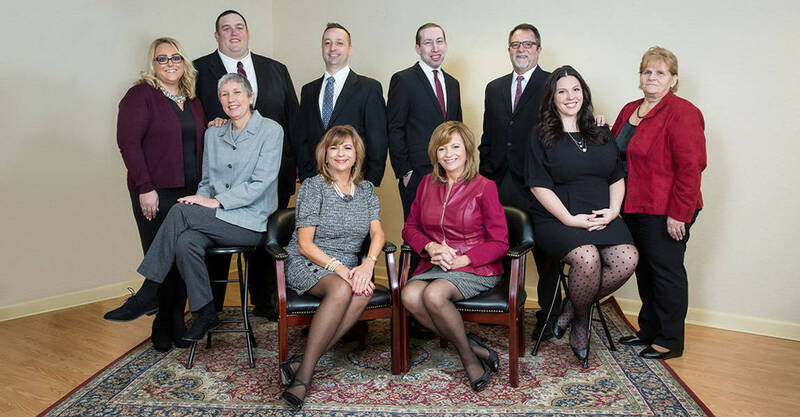 Welcome to Accounting and Tax Associates, Inc.
We are a local, family run, full service accounting firm based in Western Massachusetts, with offices in East Longmeadow and Northampton. We have been providing small businesses and individuals throughout New England with a wide array of services for over 40 years including payroll, monthly bookkeeping, tax planning and tax return preparation for individuals, corporations, partnerships and sole-proprietors. All of the tax returns we prepare are completed by full time Registered Tax Preparers and reviewed to ensure accuracy. The tax code does change year to year, you want to work with a firm that takes continuing education seriously and makes sure they understand the new regulations. We spend the time to ask our clients the most pertinent questions that apply to their unique tax situations. This allows us to ensure that they receive the biggest tax refund and lowest within the current tax laws. We believe in getting to know our client so that we can continue assisting them in every stage of their lives. We’re here year-round to answer any of your questions. Continuing Professional Education is a priority of ours and is required for all our tax preparers! All returns are reviewed before being released to the client to assure accurate returns. We offer electronic filing with completion and payment of your tax return. You can have your refund directly deposited into your checking or savings account. We have a long history of representing individuals and businesses with IRS and State audits. It is extremely important for someone with knowledge to represent your best interest. There is no reason for you to ever meet the auditor. We will make sure that all requested information is presented in an orderly and professional manner. Everyone has a unique tax situation. Our billing is based on the Forms & Schedules need to be completed as required by the Federal and State taxing authorities. Below are examples of some of the services we offer, with our starting fees. Accurate and timely accounting information is the most important element for any business to maintain profitability and capitalize on new opportunities. Accounting and Tax Associates manages your bookkeeping so you don’t have to. At the beginning of each month we gather all the financial documents from the previous month i.e. bank statements, credit card statement, Sales sheet, payroll reports, and loan documents. Your bookkeeper will message you to confirm all documents have been received. Your dedicated bookkeeper will reconcile your accounts and categorize your transactions. Some transactions will need more clarification. We’ll send you a message with the items that need to be explained further. You can reply to the message or call our office. All bookkeeping is review by your assigned Enrolled Agent. They will verify that months transactions and make the adjusting entries to ensure that you receive tax ready financials. We have many options on how to receive several different reports, depending on your needs. Which Bookkeeping Package Best Suits Your Business? We assign all plans with a bookkeeper and an Enrolled Agent to ensure accurate tax ready financial records. Payroll made easy. Payroll can be a confusing and tedious process. You can alleviate the worries and free up your valuable time for an affordable price. We offer custom payroll services for our clients. Once you submit your payroll hours and/or salaries, your payroll administrator will calculate employee wages, taxes, deductions, bonuses, and garnishments, etc. We will then process direct deposits to the employees bank accounts. Our service calculates, deposits, and files the payroll taxes for your business electronically. We ensure that all tax liabilities are filed timely and accurately. At the year end we issue the W-2 forms to the employees and Taxing Authorities. Each payroll client is assigned a payroll administrator who will be available to answer questions and process requests. We also handle all inquires from the IRS and State taxing authorities. A number of reports can be requested at anytime for no additional charge. The reports include, but are not limited to, Payroll History, Deduction History and Tax Liabilities. Doing payroll on your own could put you at risk of costly penalties, fines and unhappy employees. The firm was founded by Doreen D. Longtin “Senior” in 1974. Senior transformed the garage at her home in the Forest Park area of Springfield into an office and started working with just herself and a part time employee! At one time there were three generations working side by side in the firm until Senior’s passing in 2014. The business has continued to grow, family have joined the firm along with a full staff of experienced accountants, bookkeepers and enrolled agents offering bookkeeping, payroll and tax preparation. “J.R.” joined the firm in 1984, she is a graduate of Westfield State College. JR specializes in Individual Tax Preparation and in assisting the new businesses. Maureen joined the firm in 1996, she is the manager of our Northampton office. Maureen has extensive background in fixed and variable annuities and mutual funds. She specializes in financial reviewing and Individual Tax Preparation. Nate joined the firm in 2006, he is a graduate of Indiana University and now the third generation to join the firm. Nathan is in charge of personnel and the day to day management of the firm. Eric joined the firm in 2011 and is a graduate of Western New England University where he received his Bachelor of Business Administration. Eric specializes in Individual and Corporate taxes. Eli joined the firm in 2016, after previously assisting us as a Tax Consultant. Eli is the Manager of the firm’s Corporate, Partnership, Fiduciary & Exempt Organization Tax Preparation. Stephen joined the firm in 2018. He is a graduate of Bentley College where he earned his Bachelor of Science in Accounting. Stephen’s concentration is in Individuals and Small Businesses. At Accounting & Tax Associates, We work as a team and everyone is treated like family! Looking to get started? Simply fill out the form below. Please give us the time to review your request and we’ll have an associate get back to you.